St. Louis, Missouri restaurants offer couples a diverse choice of romantic settings along with flavors from around the world. Dine at a rooftop restaurant with spectacular views of the city, have a casual lunch at a local tavern, taste excellent pizza, tacos, American, European, Persian, Italian, Mediterranean, vegetarian and other culinary creations. Here are the best restaurants in St. Louis, MO. 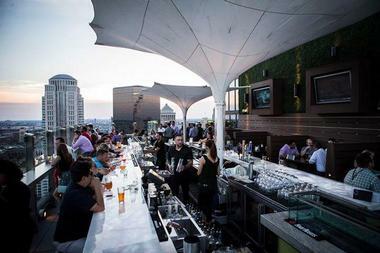 Dining at St. Louis’s world-renowned Three Sixty rooftop bar is an unforgettable experience. Enjoy breathtaking 360° views of the city and its landmarks, including Gateway Arch and a bird’s eye view of Busch Stadium. It is the perfect perch for catching a Cardinals game while savoring amazing small plate dishes such as Korean BBQ Pork Tacos or Seafood Risotto. The restaurant also features an extensive wine, beer, and craft cocktail selection. 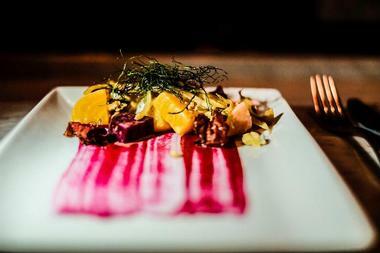 Acclaimed Executive Chef Rex Hale is behind the tasty creations at this renowned eatery. You will find Three Sixty at the top of the Hilton St. Louis at the Ballpark. If is one of the best restaurants in Downtown St. Louis. Located in the Cortex Innovation Community in the Central West End neighborhood of St. Louis, Vicia is a stunning modern vegetable-focused restaurant that takes great advantage of sustainably raised meats and local produce. Beautiful custom-made white oak tables and spectacular local artwork on the walls warm up the bright white space. The menu changes weekly, but some of the more popular dishes like zucchini steak and roast pork with peach mustard are available most of the time. One great option for a celebratory dinner is a five-course tasting menu with special off-menu dishes. 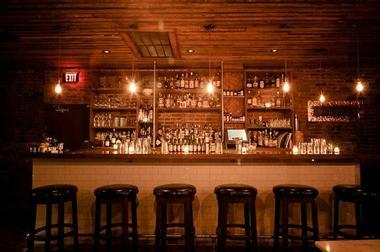 There is a full bar that is also vegetable-focused, so expect your cocktails to have ingredients such as beets. 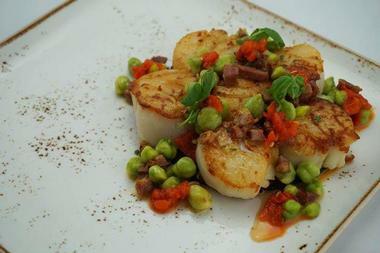 Five Bistro is a charming eatery where the menu changes daily but always features fresh, farm-to-table cuisine. At Five, your dining experience is meant to stimulate all five of your senses – hence the restaurant’s name. Savor exquisitely prepared dishes such as the Deviled Chicken Egg with House-made “Westphalian-Style” Ham, JennaPohl Lamb Braise, or the Trout & Ratatouille. An impressive wine list is also available, as are beer and craft cocktails. Chef Anthony Devoti first opened the joint in 2006 and has since established tight bonds with local purveyors. 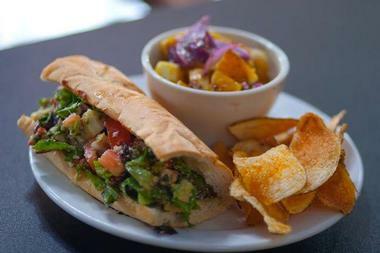 Visit Five Bistro in The Hill neighborhood of St. Louis. 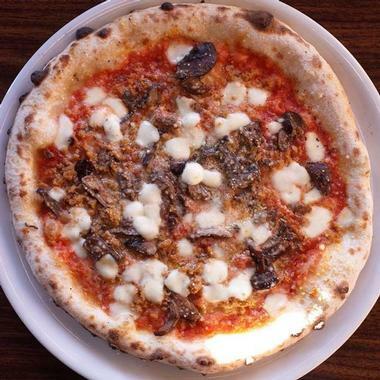 Pizzeoli is a fun, unique, authentically Napoletana-style pizzeria that serves vegan and vegetarian cuisine. Stop in and try a delicious, wood-fired Neapolitan pie such as the aptly named Soulard pizza (with tomato sauce, fresh mozzarella, basil, vegan sausage, chili flakes, and extra virgin olive oil) or the vegan Baba pizza (with house cashew “ricotta,” basil, garlic, and vegan parmesan). Local craft beers and fine wines are also available. Owner and pizza chef Scott Sandler opened this popular pizzeria in 2014 and has already received many accolades. 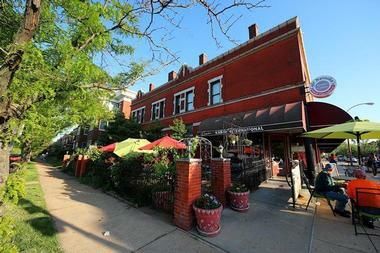 You will find Pizzeoli in the historic area of the charming Soulard neighborhood in St. Louis. Seoul Taco is a popular St. Louis eatery where tasty Korean BBQ meets and flavors marry spicy Mexican dishes. Their menu boasts tacos, quesadillas, burritos, and gogi bowls filled with vegetables, other toppings, and your choice of Bulgogi (steak), chicken, spicy pork, or tofu. Side dishes like pot stickers and kimchi slaw are also available. 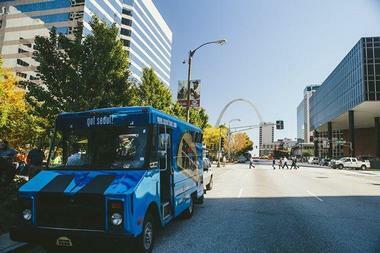 Seoul Taco originally started as a food truck in 2011 as the brainchild of founder, David Choi. It quickly became so popular that Choi expanded its business to include a storefront, located in the The Delmar Loop neighborhood. Alternatively, you can check their online calendar to find the food truck. Taste is rustic European tavern that specializes in creative craft cocktails and incredible small plates. 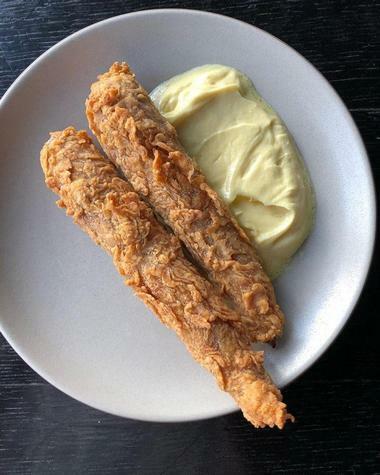 Treat yourself to true European tavern fare such as the Pig Fries (breaded, deep-fried, strips of braised pig head) or other thoughtfully prepared dishes such as Pork Banh Mi or Brick Chicken with kale, spaetzli, and pan jus. Enjoy a signature cocktail with your meal – the Southside (Broker’s gin, sugar, lemon and mint) is a particular favorite. Seasoned Chef Adam Altnether opened Taste in 2011 and has developed its innovative menu using his passion for fine cuisine. This popular eatery is located in St. Louis’s Central West End. The Preston is a contemporary American restaurant housed within St. Louis' Chase Park Plaza, which is home to the historic Chase Hotel, originally constructed in 1922. The restaurant is named in honor of the hotel's architect, Preston J. Bradshaw, and strives to carry on Bradshaw's detail-oriented tradition by fusing classic and modern fine dining influences. Breakfast and dinner service are offered daily, including a breakfast buffet available daily for adults and children. Dinner menus focus on creative small plates, including cashew granola sticky ribs, lobster popovers, and octopus and scallops served with a sherry reduction and hon shimeji mushrooms. Elegant land and sea entrees are also served, including lamb shank, organic grilled salmon, and steak frites. 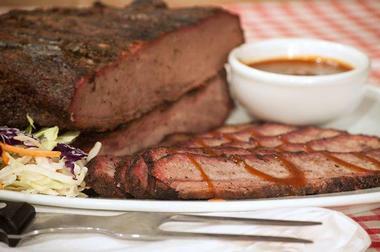 You simply cannot miss the award winning, nationally acclaimed BBQ at the retro, family-run Roper’s Ribs. Their delicious meats are hand-rubbed with a special blend of spices and slowly smoked for 12 hours with hickory wood for an intense flavor. Stop in and try a Slab of Ribs St. Louis Style, BBQ Rib Tis, or a combo to sample a bit of everything! Owners Denise and Carl Roper have been catering BBQ in St. Louis since 1976. They later expanded their catering business to include this charming, old school eatery. Roper’s is located in St. Louis’s Jennings neighborhood. Dave & Tony’s is a family-run, premium burger joint where customization is the theme. Relax in the casual, bright eatery while chowing down on a 100% customized burger with toppings of your choice – or try some of their signature burgers like the Slinger (with red onions, chili, French fries, fried egg, and cheese sauce) or the Philly Cheesesteak Burger. Salads, sandwiches, and wraps are also available! Founders David Miller and Anthony Dahl opened the restaurant in 2011, and Tony and his wife Brandi run the place today. 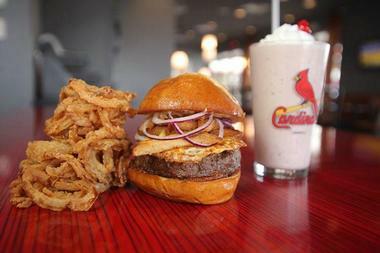 Stop in and treat yourself to an incredible burger experience down in St. Louis’s Creve Coeur neighborhood. 801 Chophouse at The Crescent is one of the most elegant and modern steakhouses in the St. Louis area. Your taste buds will go wild over exquisitely prepared dishes such as the Pancetta-Wrapped Scallops, Aged USDA Prime 24-ounce Porterhouse Steaks, Filet Medallions, or the Columbia River King Salmon. They also offer an extensive wine list and a Prix Fixe dinner on Sundays. Executive Chef Chris Dennis is at the helm of this ship, the new location of 801 Chophouse chain, which opened in 2013. You will find this romantic eatery at The Crescent condominium complex, located at the Carondelet Plaza in downtown Clayton. St. Louis’s Sugarfire Smoke House is that hip barbeque place where all your wildest food dreams come true. Start your meal off with an appetizer like the Smoked Fried Artichokes with Lemon Aioli before diving into incredible dishes like the Big Muddy (a brisket and smoked sausage sandwich), Baby Back Ribs, or the Brisket Cheesesteak. Partners Master Chef Mike Johnson, Chef Dave Molina, and Pastry Chef Carolyn Downs opened this acclaimed restaurant in 2012. BBQ Chef, Adam Pritchett, joins them, making the ultimate team. 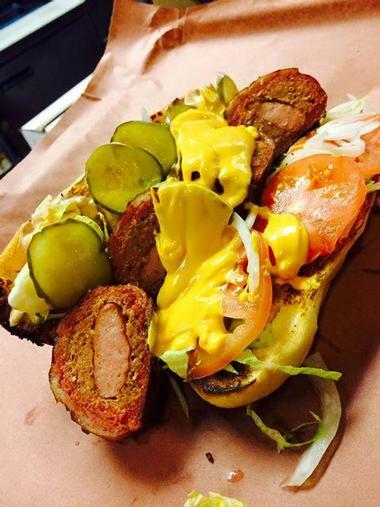 You will find Sugarfire Smoke House in St. Louis’s Olivette neighborhood. A second location will open up Downtown soon as well. Over the years it transformed into a catering business, and ultimately, in 1992, it finally became the fine dining establishment it is today. They run the place with their only child, Natasha Bahrami. Visit Café Natasha’s in the heart of University City loop. St. Louis’s Mangia Italiano is a decades-old hip and trendy Italian restaurant. Stop in for Honey-Cayenne Wings and a delicious pizza – or try another tasty dish like Pasta Di Mare or Rack of Wild Boar. Their Sunday Brunch menu boasts treats such as the Chicken & Waffle Sandwich. Mangia Italiano began as a fresh pasta shop and Italian delicatessen in 1983, founded by Richard “Doc” Parmley and his wife Micci. Today, childhood friends and long-time patrons James Bonsanti and Collier Evans own this fantastic restaurant. 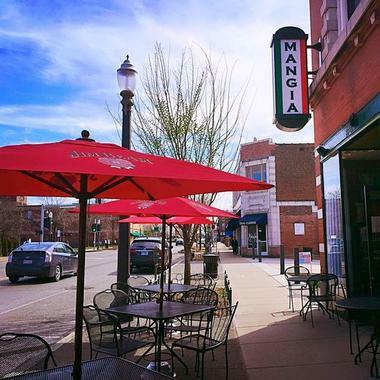 You will find Mangia Italiano on the east side of St. Louis’s Tower Grove South. 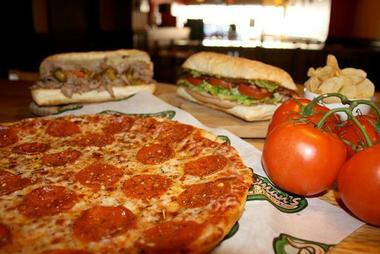 Pickleman’s Gourmet Café offers delectable and customizable premium sandwiches, salads, soups, and thin crust pizzas – all made from the freshest, highest quality ingredients. Stop in and try the Lentil Chili, a Pizza Guy Sandwich (pepperoni, mozzarella, marinara, and parmesan cheese), or the Hodge Podge (with salami, capicola, turkey, ham, and provolone cheese). Founder and owner Doug Stritzel opened the first Pickleman’s Gourmet Café in 2005 in Columbia, Missouri. He opened the second location just three years later and now has 20 sites located throughout the region. You will find one in St. Louis’s Central West End and another in University City. Tree House restaurant is a unique vegetarian and vegan restaurant. Creative dishes, such as the Banh Xeo (a rice flour and coconut milk crepe stuffed with wild mushrooms, mung bean sprouts, and charred onions), Chorizo Tamale, Seitan Katsu, or Wild Mushroom Stuffed Ravioli will impress even carnivores. Chef and owner Bay Tran first introduced St. Louis to her sustainable, innovative culinary offerings when she opened Tree House in 2013. She strives to make her restaurant as green as possible and uses only seasonal, locally sourced ingredients. 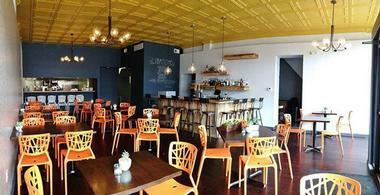 Visit her charming eatery in St. Louis’s South Grand community. 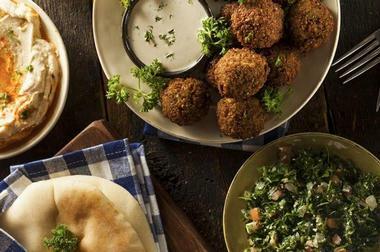 Tazé restaurant serves vibrant Mediterranean street food in a fast casual, cozy atmosphere. At this trendy café, you build your own meal. Start by deciding if you want a pita or a bowl filled with saffron rice or greens. Then add your choice of fillings (Gyro or Tandoor meats or veggies), a sauce (mango, harissa, tzatziki, or tahini), and a tasty side dish. A nice wine list is also available. Twin brothers Casey and Justin Roth opened Tazé (which is Turkish for “fresh”) in 2015. 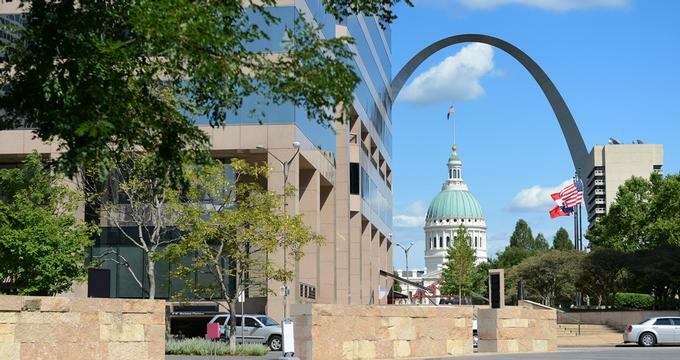 You will find them at St. Louis’s Mercantile Exchange district. Frida’s is a healthy lifestyle restaurant serving vegetarian cuisine along with special vegan and allergy-sensitive options. Stop in and try incredibly tasty dishes such as the Black Bean and Jalapeno Masa Cakes, the Mushroom Reuben, or Raw Fettucine. Hot soups made from scratch, beer, wine, and fresh juice and smoothies are also available. Frida’s is a family-run business owned by Natasha Kwan and Rick Roloff, who opened the deli in 2012. Interestingly, they named their restaurant after their cat! The pair is environmentally conscious, and they strive to be as green as possible at Frida’s. 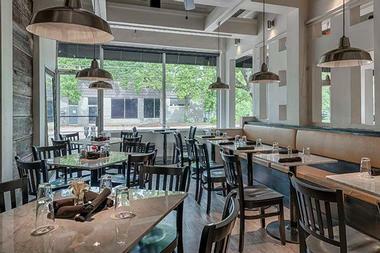 You will find this charming eatery between University City and North Clayton. Broadway Oyster Bar offers an authentic taste of New Orleans with its heavily seafood-focused Cajun-Creole cuisine. Take in the lively French Quarter ambiance as you dine on Big Easy signature dishes like the Boiled Crawfish, Fried Catfish Platter, or Jambalaya. 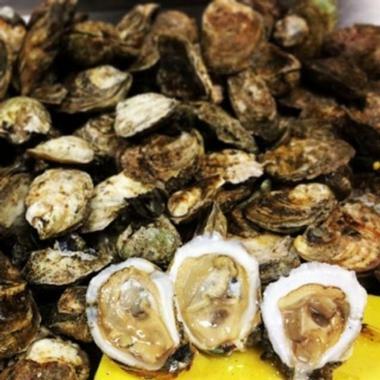 Don’t miss the Broadway Shooters or Bienville Oysters (served with a spicy shrimp in a parmesan and mushroom cream sauce). Housed in a historically rich building (originally built in 1843), Broadway Oyster Bar has been a popular St. Louis hangout for decades. It features live music seven nights a week. You can find this fun eatery downtown, near Busch Stadium and Soulard Market. BC’s Kitchen serves classic American cuisine with subtle international accents, and it is one of the most elegant yet relaxed restaurants in St. Louis. Your taste buds will have a reason to celebrate when you dine on artfully prepared dishes such as the Smoked St. Louis Style Missouri “Heritage Acre” Pork Baby Back Ribs, the “Dutch Oven” Boneless Beef Short Ribs, or BC’s Jumbo Gumbo. Highly acclaimed Chef William “Bill” Cardwell, the owner and founder of BC’s Kitchen, opened this romantic eatery in 2008. He also owns St. Louis’s upscale Cardwell’s at The Plaza. Visit BC’s Kitchen at The Meadows at the Lake Saint Louis shopping center. 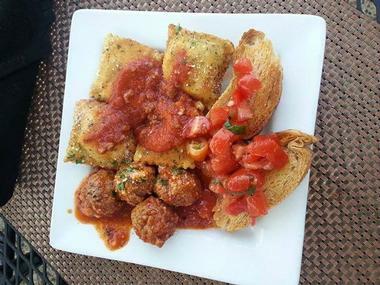 If you are in the mood for authentic Sicilian food, you will want to check out St. Louis’s Sapore Italian Café. Exquisitely prepared dishes such as the Polpette alla Parmigiano (homemade Sicilian meatballs), Lobster Ravioli, Bistecca Siciliano, or Linguini Sapore del mare are guaranteed to wow your taste buds. Therefore, it is fitting that “sapore” is the Italian term for flavor. This delicious restaurant is the brainchild of Executive Chef and Owner Paul Buzzetta, who happens to come from a long line of expert cooks and restaurateurs. He opened the eatery in 2009. Visit Sapore Italian Café for lunch or dinner at Kirkwood’s Woodbine Center. Fitz’s Root Beer is not only a soda microbrewery, but it is also a retro restaurant serving classic pub fare. Treat yourself to tasty dishes such as the Scottish Fish & Chips, Fitz’s Cajun Gumbo, or the Grand Coney Hot Dog (with Fitz’s famous chili, cheese, onions, and onion rings). Don’t miss the root beer! It’s made according to an original St. Louis recipe developed in 1947. Owner Michael Alter revived the business and added the restaurant in 1993. He sold it 1999 but reacquired it in 2010 and has seen an explosion in growth since then. Fitz’s is located in University City’s Delmar Loop. Pappy’s Smokehouse serves the best Memphis-style BBQ in St. Louis. 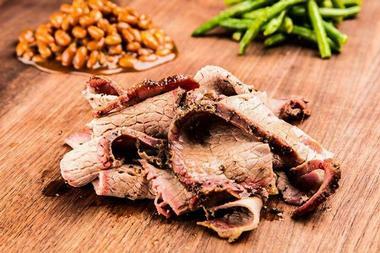 Their meats are slow smoked for up to 14 hours over sweet apple or cherry wood, and after, they top them with one of their four signature BBQ sauces. Stop in and try the pulled pork sandwich or go big and get “The ‘Adam’ Bomb” (named for Adam Richman of Travel Channel’s Man vs. Food), which includes a bit of almost everything on the menu. Founders Mike Emerson, John Matthews, and Michael Wegmann opened the joint in 2008, and you can find it right around the corner from St. Louis’s Harris-Stowe State University. Roberto’s Trattoria is the place to go for gourmet Italian fine dining featuring authentic southern Italian and old country foods. Enjoy the romantic, elegant atmosphere as you savor phenomenal dishes such as the Cannelloni, Tilapia Fiorentina, Sicilian Beef, or Tagliatelle alla Bolognese. The restaurant also features an extensive European wine list. All seafood is delivered fresh daily. 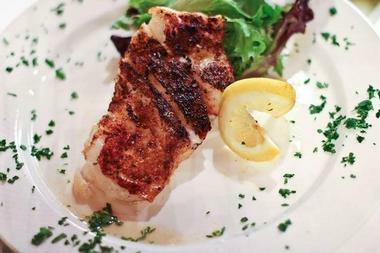 The menu is comprised of Chef Roberto Zanti’s passionate creations. 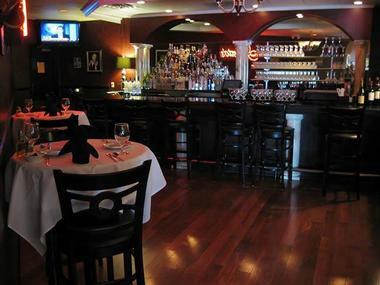 Roberto’s Trattoria opened in 2007 and has since become a favorite amongst St. Louis residents. 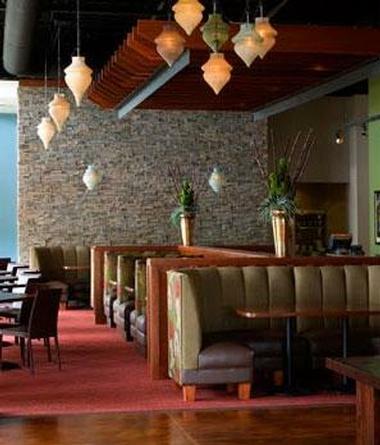 Visit this sophisticated restaurant in the Concord Plaza shopping center in Lindbergh. The Tenderloin Room is a legendary, upscale, family-run steakhouse. The flavors in extraordinary dishes such as the Pepperloin a la Tenderloin, Crab-Topped Filet, or the Broiled Extra Cut Pork Chop will simply delight you. Founded by Tommy Karagiannis in the early ‘60s, The Tenderloin Room has been visited by celebrated pop icons like Frank Sinatra and George Clooney. Today, the place is managed by Tommy’s son and daughter-in-law Dino and Jules Karagiannis and their two daughters. Enjoy an elegant night at this spectacular restaurant, located at the historic Chase Park Plaza Hotel in the Central West End. For a night to remember, check out the eclectic Fountain on Locust ice cream bar and restaurant serving classic American eats and incredible alcohol and ice cream concoctions. Savor delicious dishes such as the Fig & Bacon Pie, Ravioli Mezaluna, or the Blackhawk (Angus beef slices with roasted red peppers, goat cheese, and a basil spread on Vienna rolls). 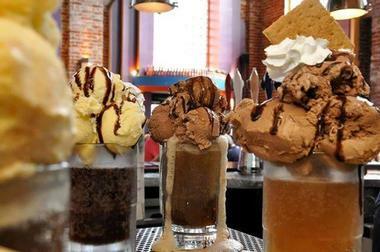 The ice cream martinis and “adult floats” are not to be missed. In 2008, syndicated radio comedienne Joy Gdnic opened The Fountain on Locust inside a historical building built in 1916; it is located near the Powell Symphony Hall in Midtown St. Louis. More ideas: 25 Best Things to Do in St. Louis.